A provocative, lively deep-dive into the meaning of America’s first black president and first black presidency, from “one of the most graceful and lucid intellectuals writing on race and politics today” (Vanity Fair). 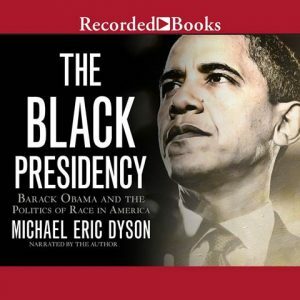 Check out Kirkus Prize Finalist The Black Presidency by Michael Eric Dyson on OneClickdigital. The Library also owns this book in print and as an eBook!